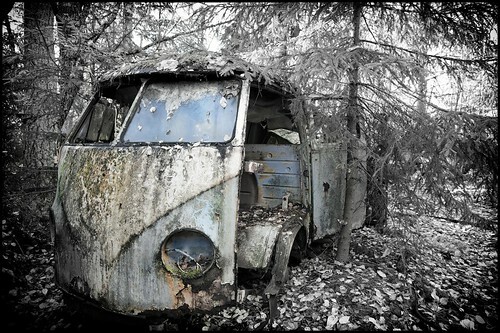 VW.Faded Beauty, a photo by Davidap2009 on Flickr. Even in this state you can appreciate the iconic shape of a VW van. Some design forms just have staying power to the last gasp. I went across the country in one of these babies back in the 70’s. Good memories.